sleep paralysis. 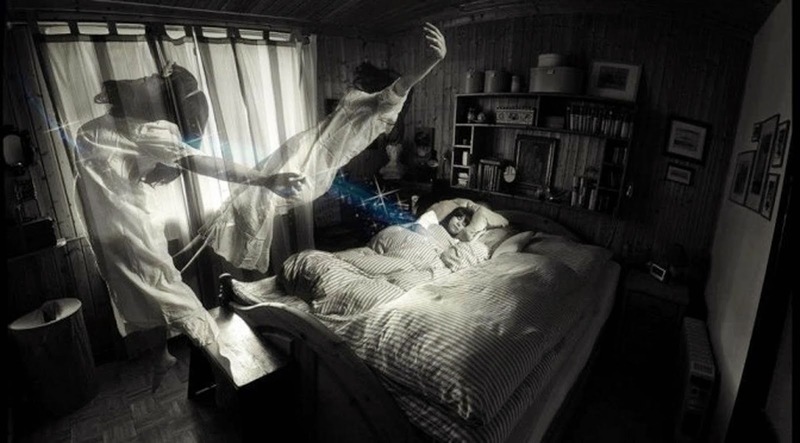 This in particular is a big fear for many who want to experience astral projection, so let’s clear up a few things. Introducing OBE’s explains that you experience an astral density based on your current frequency or aura. This also applies to sleep paralysis, so if you are experiencing negative entities, then you should take measures to raise your frequency (meditation, acting out of compassion, living from the heart). brain may take this situation as a near death experience, and as we said before the brain releases a large amount of DMT when under this sort of stress. The brain may expect the body to not be functional anymore, so the release of DMT may be to push our consciousness out expecting it not to return. scared to go through with it. It’s all a matter of practise and getting comfortable. First, ground and shield yourself. This way you know that nothing will harm you and nothing will happen unexpected. Try this at a time when you are not tired, preferably in the morning or afternoon. You can do a small meditation to get yourself focussed. Lay down in a face up position and get comfortable, because you’re going to be in this position for a long time. In your head, count down from 120, then 60, then 30.